Who says dessert has to be complicated? There’s no need to overthink the Thanksgiving Day dessert this year. 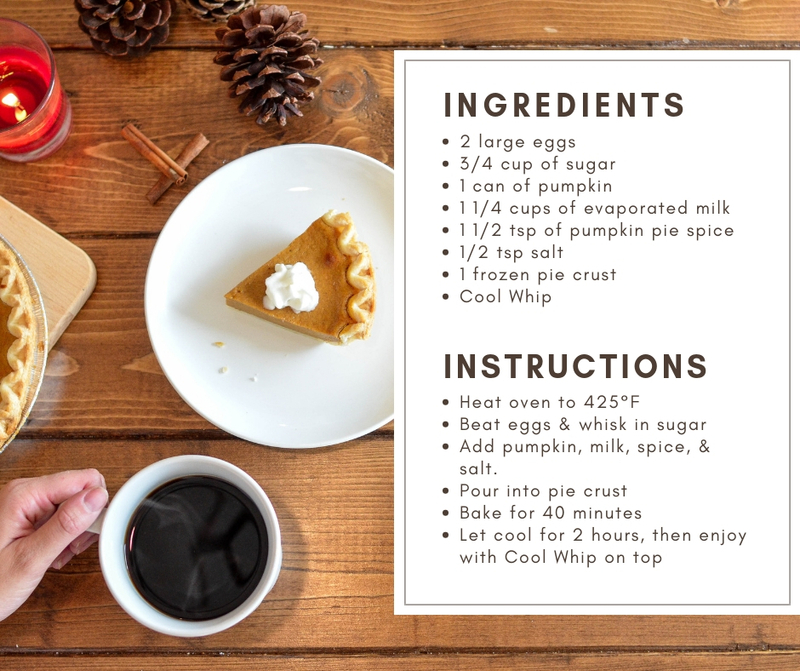 With our simple yet delicious pumpkin pie recipe, you can impress your dinner guest and your taste buds, even if you’re not an experienced baker. Our fool-proof recipe has you covered. 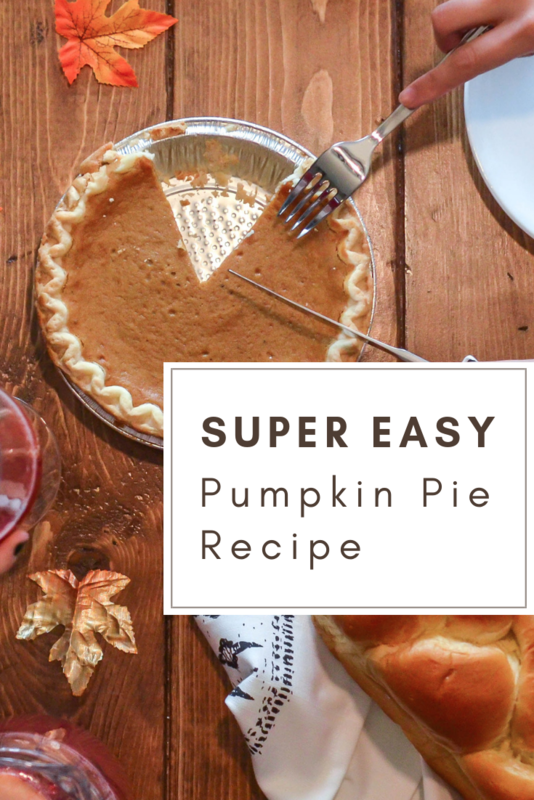 Create a tasty pumpkin pie from scratch (well, with the help of a pre-made pie crust) in just five steps! Below you’ll find a list of ingredients and instructions for baking this traditional Thanksgiving staple. We promise it’s as easy as it is yummy. First, heat the oven to 425°F. In a large bowl, beat the two eggs. Then, whisk in sugar until smooth. Next, add the pumpkin, evaporated milk, pumpkin pie spice, and salt. Mix until well blended. Lastly, bake for 40-50 minutes or until you can stick a toothpick in the center and it comes out clean. Let the pie cool for 2 hours and enjoy with Cool Whip or whipped cream on top if desired. We at Hirschfeld Homes in Maryland would like to wish all our residents and staff a very happy Thanksgiving. So, whether you are hosting Thanksgiving dinner in your apartment home or traveling to dine with relatives and friends, we want you to know we truly appreciate each and every one of our community members. We’re also grateful for another wonderful year at Hirschfeld and hope that you will continue to call us home. If you are looking for a few other Thanksgiving recipes, check out our blog. 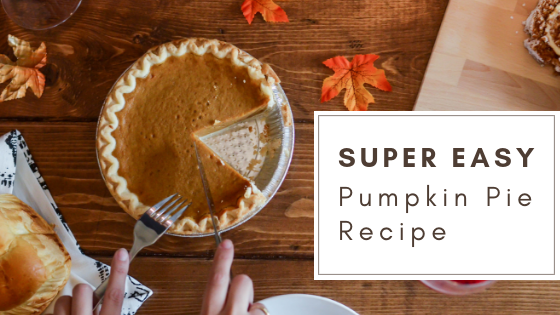 As a side note, our pumpkin pie recipe pairs great with Aunt Linda’s Cornbread! Enjoy.